This year, the whole of the Balkans region is facing big problems with virus infection. 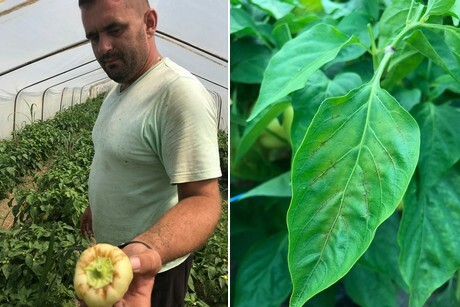 According to Arian Shala with the Croatian distribution company Zeleni Hit, CMV (cucumber mosaic virus) is the primary problem, and the secondary being TSWV on peppers grown in greenhouses. "The problems are especially big in the unheated greenhouses. Pepper prices rise up to one euro. That's something I haven't seen in a very long time." 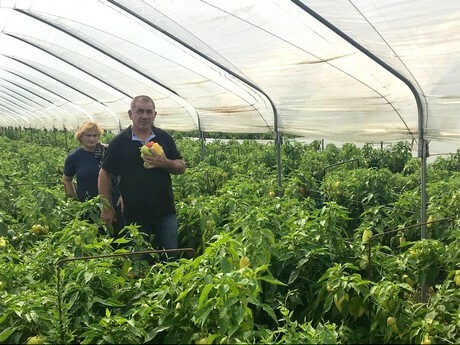 In Croatia, the greenhouse pepper acreage exceeds 200 hectares. In Serbia it's even more. Due to excessive virus damage, the season is turning out to be a very bad one. In the Balkan region usually planting is done from March till April. "The young plants are grown mostly in trays and they are ready for planting with 55-60 days from sowing", Arian Shala explains. Starting from the middle of May, when the first symptoms of the infection appeared, it became clear something else was going on. 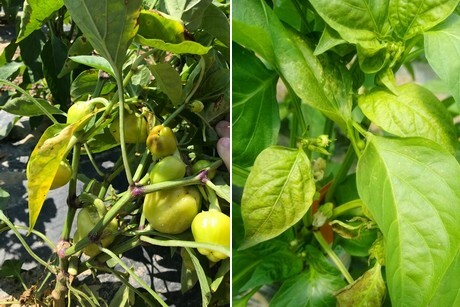 "Symptoms are found first on the top of the plant, just like symptoms of lack iron and manganese. Then they appear on the fruits, which stay small and deformed with brown-red stripes on top of the plant. Eventually it turned out to be CMV and we can't do anything about it." All types of pepper were infected. "From blocky to kapia types. 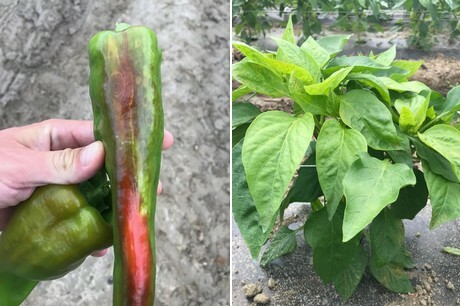 Pepper varieties are resistant to many viruses, but CMV is not one of them." Many growers in the region work in low tunnels and the virus seems to spread via aphids. "The hydroponic growers planted earlier and possibly they were able to build their crop protection. That might have saved them." After that, viruses start to spread on open field kapia types all over the region. "But the covered production was hit the worst, especially the unheated greenhouses." According to Arian, the virus caused huge losses. "The yield decrease rises to 40 per cent. Some growers even had to deal with an 80 per cent loss and many had to stop their production by the end of June." Even now, the problems are ongoing and the quality of the products remains unstable. "Small and deformed fruits during the season. Most damage is done to the fresh market, but also the processing market is hurt: the fruit can be put in the boxes, but it's very hard work. And many of these fruits are not marketable at all, not even for processing." Besides the current problems being serious, there's also a big question mark set for the future. 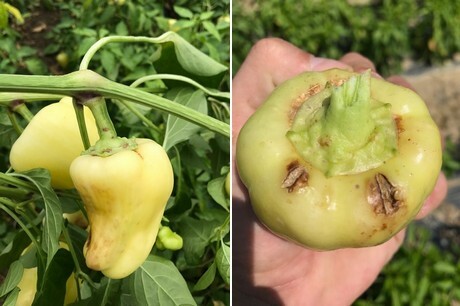 "Growers are scared for the new season to start, since there's no logical explanation for the current infection and the open tunnels offer hardly any protection. 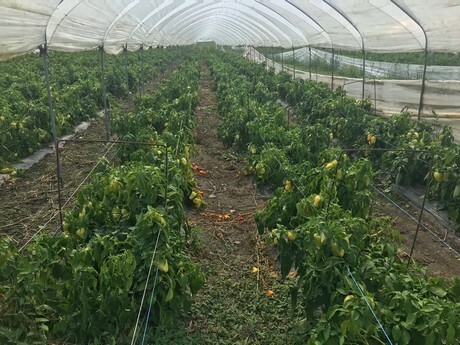 Also, since the low tunnels are built for the pepper growers, they can hardly switch to another crop. With the tomatoes they cannot compete with the hydroponic production, and switching to cucumbers will destroy that market as well." Breeders are currently working on resistances, but it will not be there any time soon. "Especially since many seed companies have been working om resistances to TSWV and Tm virus. The CMV has just been a problem this year." With the lowered production, the prices have been 20-30% higher all year. "Both blocky and kapia peppers are specific segments for this region. The average price per kilo will be around 0.65-0.75 euro for unheated production and I've even seen prices of over 1 euro, something that hasn't happened in the last 15 years. What it will be like next year? That's unknown for sure." 2019-04-22 "Overseas demand for Chinese fresh ginger is weak"